What are they? Hidden gardens that are an oasis of calm with a temperature said to be several degrees above the surrounding area. Where are they? Only 10 minutes’ walk from either Bond Street or Green Park tube stations but a world away from the busy shopping areas. Why have they tickled our fancy? The peace and quiet, the palm trees and the benches. 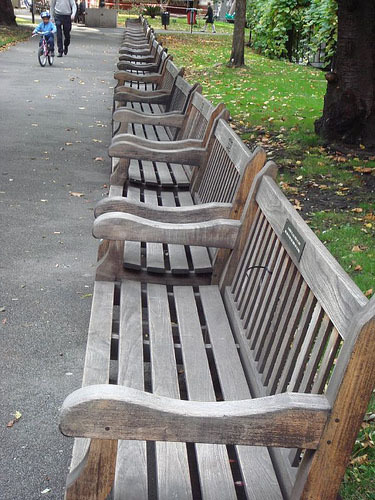 There are benches everywhere. “An American who did not find a park like this in New York City”” is typical of the inscriptions, mainly from US and Canadian citizens who were stationed nearby during the Second World War. There is still a strong American connection; the gardens being used by office workers from the nearby US Embassy in Grosvenor Square. 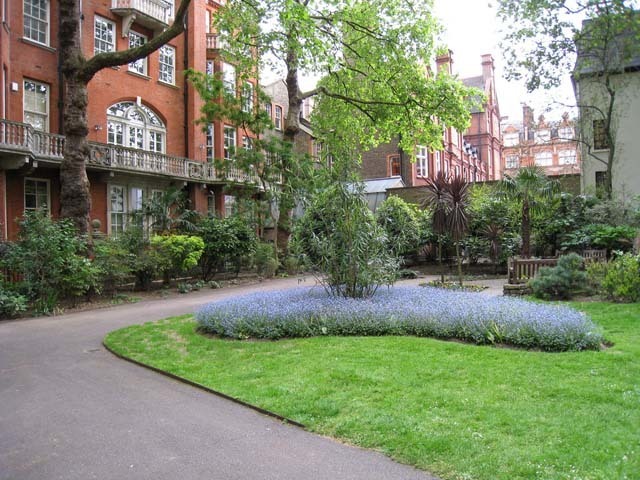 Westminster City Council looks after the upkeep and the gardens were recently awarded their third Green Flag. The local residents are justifiably proud of the gardens too and in 2006 raised £12,000 to refurbish the ornate drinking fountain. The residents also paid for a bird life interpretation panel. At one corner of the gardens you will see the magnificent Jesuit Church of the Immaculate Conception more commonly known as Farm Street Church, which has been the scene of many society weddings. 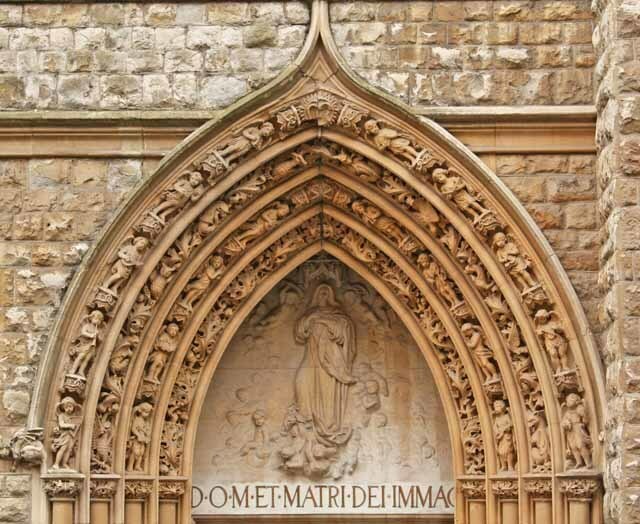 The high altar is by Augustus Pugin well known for his work on the interior of the Palace of Westminster. Nature notes: The microclimate allows an Australian Mimosa, a Canary Islands Date Palm and three Dawn Redwoods to flourish. The gardens are designated as a Site of Importance for Nature Conservation.